Some people, particularly among the older generation, will enter into a week of prayerful retreats in monasteries. Others carry out alms-giving in various forms. Some boys take part in novitiation in the tradition of Theravada Buddhism, when they join the monks and spend a period of time in a monastery immersed in the teachings of the Buddha, the Dhamma. Young girls may also join the novicehood initiation for a short period. The girls also have a ceremony in which earlobes are pierced when they come of age, but unlike the novitiation ceremony, it is more of a social than religious event. On New Year’s Day, it is a time for people to visit the elders and pay respect with traditional offerings. Some donate food at various places, typically providing it free to those participating in the celebrations. What I miss most is the special festive foods that are only made at this time. Most are made from glutinous rice and coconut, and Padauk, a yellow fragrant flowers which only blossom after a splash of April rain. The fresh earthy smell reminds us that the New Year has come! 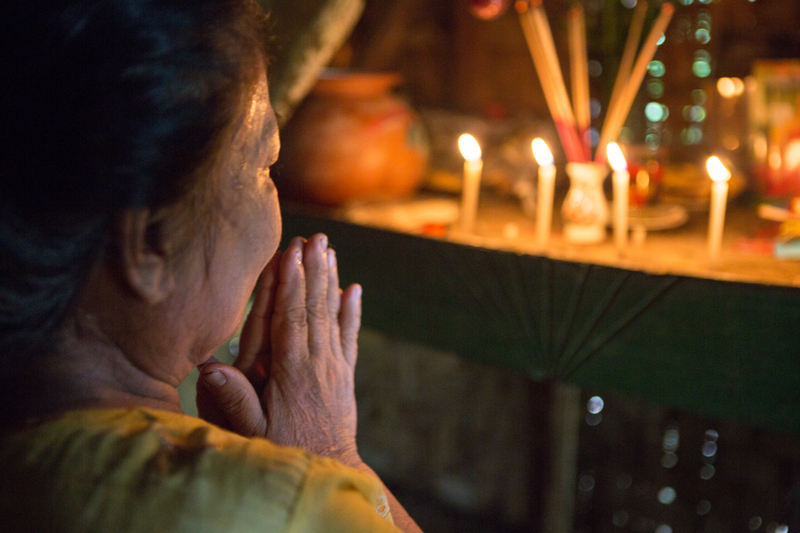 CAFOD has worked in Myanmar since 1983, helping people prepare for and respond to disasters, carrying out programmes to prevent the spread of HIV and AIDS, supporting peace efforts and empowering local groups to speak out on the issues that matter most to people on the ground.